Whiskey with an 'e', lovers of American whiskey will be very quick to correct the spelling, they are protective over their favoured drop. American Whiskey is a spirit made from grain, with production governed by strict rules and regulations. 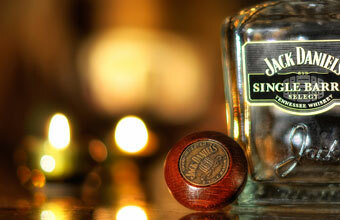 Within the classification of American Whiskey, you'll find Bourbon and Tennessee Whiskey. Some of the key types of Whiskey include Rye Whiskey, Rye Malt Whiskey, Malt Whiskey, Wheat Whiskey, Bourbon Whiskey, Corn Whiskey and Blended Whiskey. While the Scots and Irish were the ones to bring Whiskey to the States, no surprises there, the American variety is usually sweeter, not as smokey, generally more affordable and is aged in charred-oak barrels.